The Elephant & Wheelbarrow Pub features an extensive range of beers and a traditional English menu. 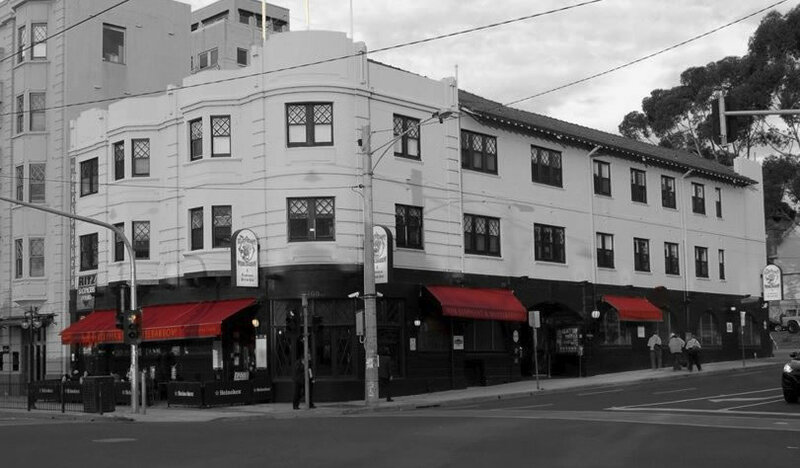 Located in the heart of St Kilda entertainment precinct on Fitzroy St you can always expect Great Food/Live Entertainment & Sport. So bring your friends or family to the Elephant & Wheelbarrow for some good times & great cheer.